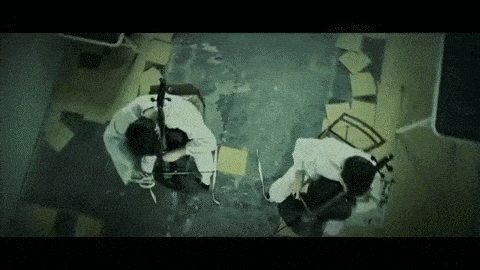 The cello duo’s latest video is set in a psychiatric hospital and takes on the modern space-rock classic ‘Hysteria’, originally by British rockers Muse. Never ones to shy away from rock histrionics, this video sees our friends Sulic & Hauser aping the guitar wizardry of Matt Bellamy… on cello. But it’s not as straightforward as that – this all happens in a rather scuzzy-looking psychiatric hospital set, with the guys bound up in straitjackets. There’s a creepy nurse Loves her job, does Ethel. Thrashing of bodies in a hokey psychiatric ward kind of way, that is. Seriously, imagine being the guy that rehairs their bows. But are they actually playing those cellos? Or is it part of a weird psychosis? Find out for yourself Watch the whole thing above.